Many people find the beep of an alarm clock to be a very unpleasant way to wake up. One alternative is to use lights to wake you up. For instance, a “sunrise alarm clock” gradually increases the brightness of a light near your bed at the set time. This helps some people to wake up more gently. 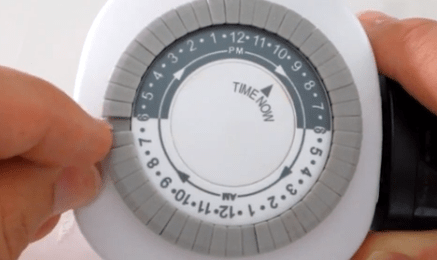 In this project, I am going to show you how to make a simple light alarm circuit from an outlet timer and a handful of basic electrical components. So get out your soldering iron and let’s get started.